These meetings are open to all Club Members. Please join us to find out about the inner workings of your Club! 10:30 a.m. until 3:00 p.m.
Engelhard, our neighborhood school, is paving the way to success for its students. in solving problems that are barriers to learning. 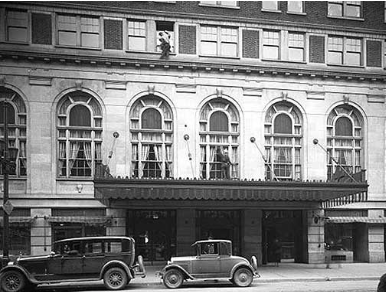 In 1923, around the same time as The Woman’s Club of Louisville’s elegant Clubhouse was completed, James Graham Brown opened the doors to his landmark Georgian Revival hotel. It was built at the then-staggering cost of $4 million. Today, executive chef, James Adams has continued the tradition of serving Louisville’s most recognized dish, as well as providing exceptional creative cuisine at the English Grill, and overseeing the casual café, J. Graham’s and lively Lobby Bar. Please join us to meet Chef Adams and hear about the journey that led him to the Brown.